Relationships are incredibly challenging. Shards of complication stream toward us from multiple directions all day, every day. We are offended, we are wronged, we are neglected, we are stressed, we are overburdened, we are overlooked. Sometimes all we have to do is witness the toxicity, and just by watching, we take on its burden. Other times, we create interpersonal drama where none need exist. We project our unassociated dis-ease onto neutral events and conversations, and we become tangled in a sticky web of thoughts. We obsess. We replay conversations that happened in the past, and imagine future conversations that might never happen at all. We assume what our counterpart is thinking and intending. We lose sleep and snap at loved ones. We talk about our drama with friends. We become distracted at work. And while our minds are very busy miscreating, we are not allowing space for that which is truly our natural state: JOY. Joy is not found while beating another person over the head with their wrongness. In fact, sometimes the harder we fight to prove another’s wrongness, the more we realize we are the wrong ones, and are too proud to admit it. Joy is humility. Joy is forgiveness. Joy is acceptance. Joy is surrender. Everything else is a life lesson. Communicating with a joyful heart elevates all interactions. When we communicate with a fresh and open mind, we see the good in everyone and everything. This makes good sense. Joy is a pretty simple concept. But when we’ve been trained over the course of our lifetimes that joy equals achievement, joy equals money, joy equals success, joy equals pride, suddenly joy seems a little more complicated. Our challenge is to remember that joy isn’t complicated – ego is. When we clear our thoughts and allow space for higher thinking, we see clearly and love without reservation. Joy is always accessible to us, but for most it takes some deprogramming – some Self work. I call this “Buddha stripped bare.” We’ve got to strip off the layers of pain we’ve been hiding behind all our lives, to dig deep and be vulnerable enough to admit that we project our pain onto everyone and everything. We have to open up to the fact that we are the ones who bring the toxicity to the table. We are not offended, wronged, neglected, stressed, overburdened, or overlooked by others. We invite those complicated, toxic situations into our lives because we are frantically searching for our joy in all the wrong places. Our joy is staring at us in the mirror. When we recognize it, we elevate. An amazing opportunity was awarded me thanks to the annual Health Fair at my children’s elementary school, organized and staffed by town’s Moms and teachers. The Health Fair showcased interactive healthy-living demonstrations designed for our kiddos – from dental care to martial arts. My contribution took place in a quiet corner of the second floor library, where I taught 500 children how to meditate. Every 10 minutes for 3 hours, a new contingent of tiny people filed into the room. As this was my first foray into meditation instruction, my expectations were low – for myself and for the kids. I assumed I’d experience: A)Eye rolling B)Teeth sucking C)Boyish antics or D)Utter Despondence. Much to my relief, I encountered E)None of the above. In fact, I found that the majority of children could already accurately define meditation, and a few even shared eagerly that they practice at home, tossing out yogi words like “shavasana” and “om”. I also found that our children were engaged. They were alert and seemed invested in the conversation. They were actively listening, downright ready, willing and able to participate in the act of non-doing. I referred to the famous Thich Nhat Hanh, a Vietnamese Buddhist monk who worked with Martin Luther King towards non-violence and peace in the 60’s and was nominated for a Nobel Peace Prize, for a secular meditation suited perfectly for children: “The Pebble Meditation”. The students (with very few exceptions) closed their eyes and took a ride on their own breath, in and out, filling their bodies with Earth’s goodness and affirming their own goodness with every exhale. The (amazing) school nurse, said to me, “That’s 500 souls you’ve touched today.” I admit, it was hard to hold back the tears. And I’ve felt quite humbled over the past few weeks as moms and friends have approached me to say they appreciated the lesson. Many have shared their children’s requests to continue the practice at home and have asked how they can do that. I think the best answer is to begin a practice yourself. 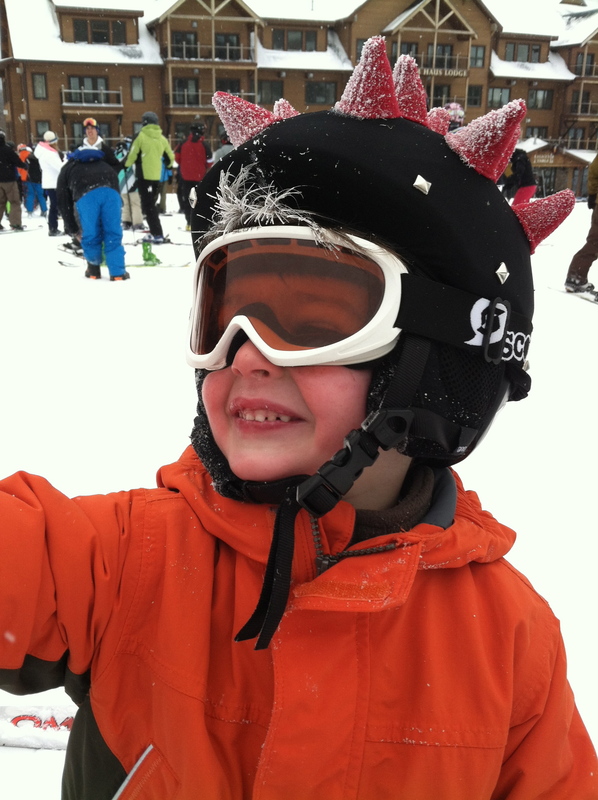 Our kids don’t do as we say, they do as we do. So when we are living wholesomely and practicing meditation in the home, they will model the same behavior. There are some gurus and experts that will say you need to do very particular things in order to meditate – hold your hands just so, seat your body this way or that. I always think, “If I had no hands, if I had no legs, if I couldn’t sit up, wouldn’t I be able to meditate?” So I think that the best way to start is by just feeling comfortable wherever you are, without judgment, inhibition or over-instruction. Give yourself a chance to succeed and find peace in your own comfort zone. Once you feel confident in your ability to practice non-doing you can work on posture, form, mantras and breathing techniques. But to begin, just shut your eyes and breath. Our children seem to understand the benefits of and the need for meditation this innately. At the health fair, our babies took to non-doing easily – almost automatically. They closed their eyes and allowed themselves to be guided into mindful breathing. It was so beautiful. And I’m so grateful and humbled to have been part of their collective experience. If you’d like to learn more about meditation, please visit Thich Naht Hanh’s website or check out books like 10 Mindful Minutes by Goldie Hawn or The Soul of Education by Rachael Kessler. If you’d like to see a mindfulness practice incorporated into your child’s school curriculum, please reach out to your child’s educator or school PTO. Reach out to me via email or Facebook and I’m happy to share more. p.s. I am deeply grateful for your likes, shares and tweets. I’d like to grow my audience and could really use your help. Thank you! Peace! 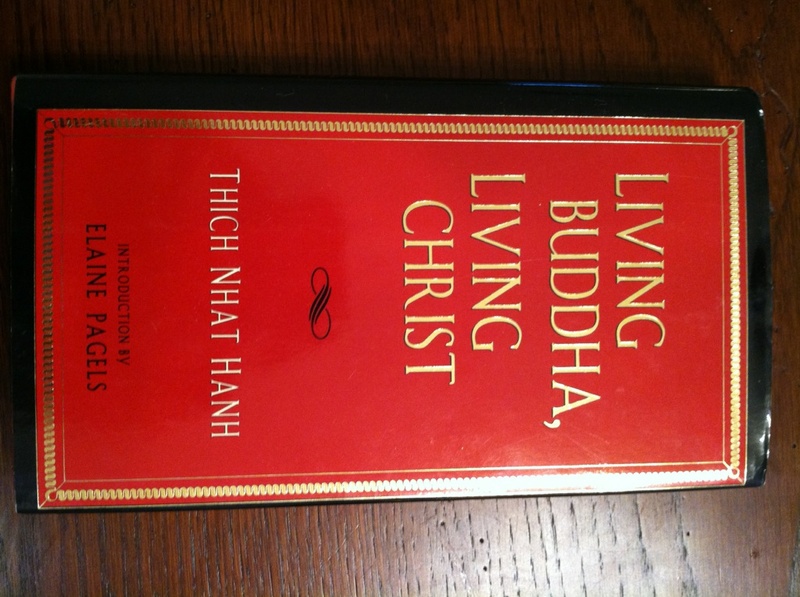 If you are bu-curious and looking to learn more about the philosophy or if you are a new-bu like me, I encourage you to read anything by Thich Nhat Hanh (“Thay”). My friend introduced me to him just last spring and I don’t know how I lived so long without his wisdom. He reminds us that, while Buddhist texts and scriptures can be complicated, life is actually pretty darn simple. One of my favorite teachings of Thay’s is looking into the eyes of our loved ones and telling them, “I am here for you.” Simple yet profound, this sentence validates our loved ones’ needs while affirming our own loving commitment. 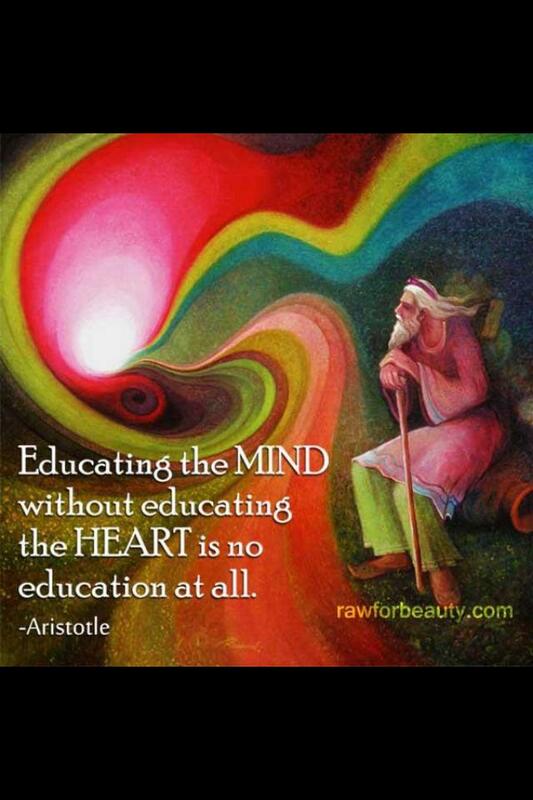 And it doesn’t require years of Buddhist training to understand or master. It just takes the desire to love. Beautiful. He’s published numerous books (too many to list). A lot of them are pretty short but the content will surely provide readers with many tiny shifts along the way. 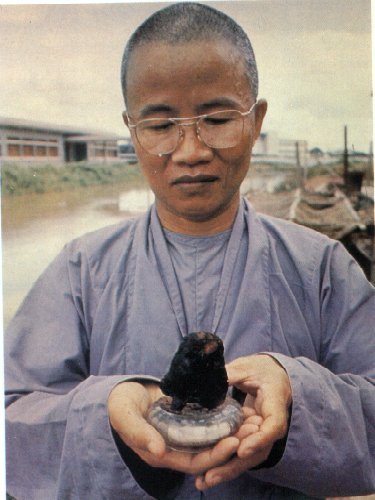 The first shown above, Living Buddha Living Christ, might be his most famous. 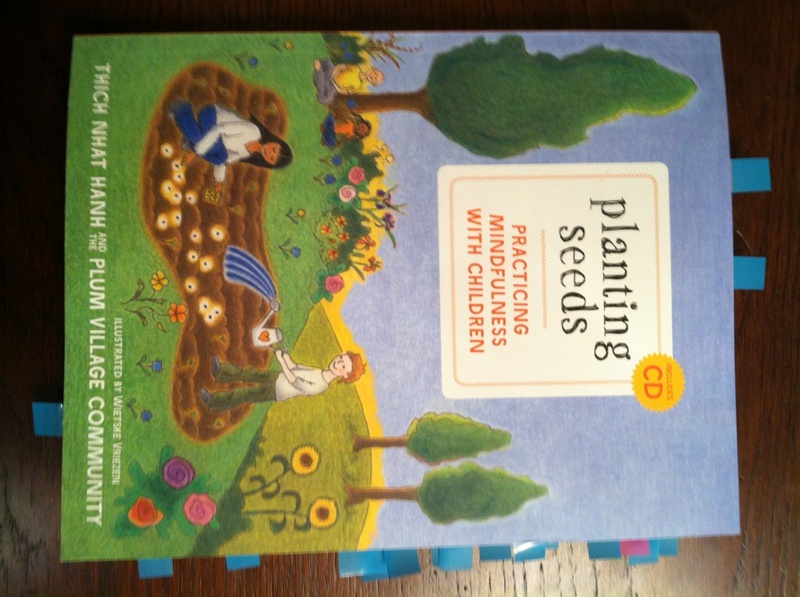 The second, Planting Seeds, is an awesome workbook for moms and dads who would like to introduce children to meditation. 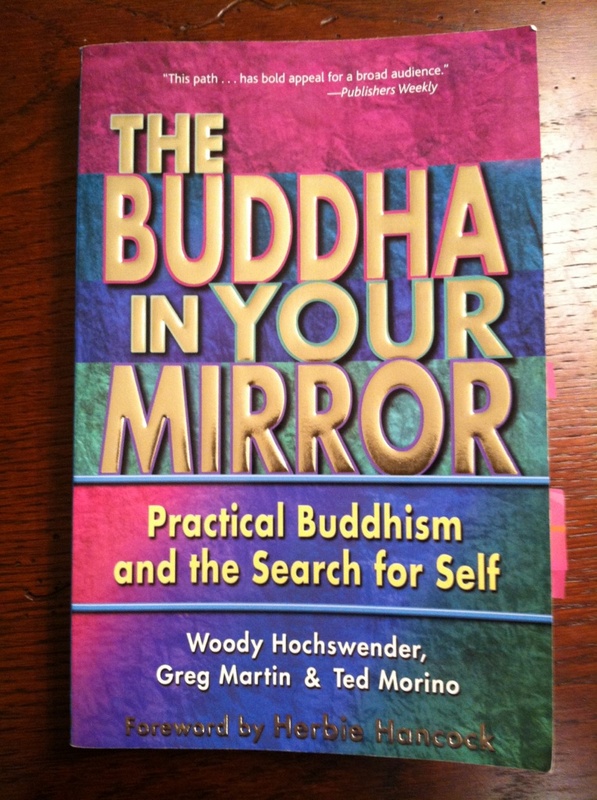 Another book that I’ve really enjoyed is one my sister loaned me a couple of years ago – The Buddha in Your Mirror by Woody Hochswender, Gred Martin and Ted Morino. It’s an open door to Zen, the Japanese brand of Mahayana born in the 13th century. Zen was introduced by a monk named Nichiren who saw that Buddhism could have a profound effect on ordinary people and offered folks a path to awakening that was understandable, manageable and downright doable. In this book, the authors introduce bu-curious readers to the mantra “Nam-myoho-renge-kyo”, which, if my interpretation is correct, is the giving over of oneself to the laws of karma, allowing oneself the opportunity to see clearly and compassionately into life’s troubles. But of course the meaning runs much deeper than that, as does everything in Buddhism. I’ve been chanting Nam-myoho-renge-kyo quite a bit lately. You’re supposed to chant it out loud for at least 5 minutes at a time, and sometimes I do that, apologizing to my kids for the noise while they play nearby or inviting them to join me. In fact, I like chanting so much that I’ve been whispering Nam-myoho-renge-kyo to myself in half-pigeon pose during sweaty yoga… or stepping to the beat of the chant when I’m out walking the dog. I like the idea of discovering the natural rhythm of the world, and me in it, through chanting. Although sometimes I’ve got to admit, I can’t help but think When did I become this person??? 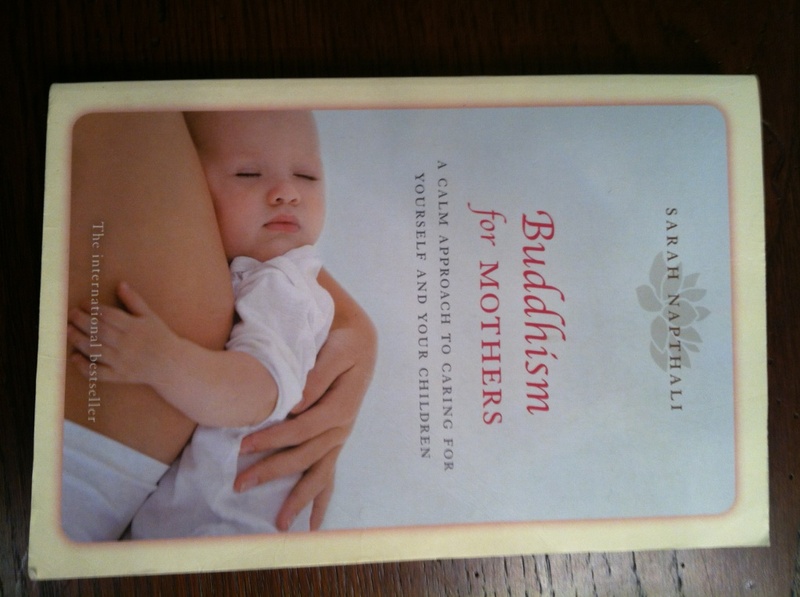 Another really terrific, easy-to-read book is Buddhism for Mothers by Sarah Napthali, another gift from a friend. (Damn, I’ve got some good friends.) I love this book for a lot of reasons. Sarah never delves into nuts-and-bolts Buddhism. Instead she sites practical examples of the ways she and other mommies use Buddhism to get through squeeze-y moments with their own BUBs. 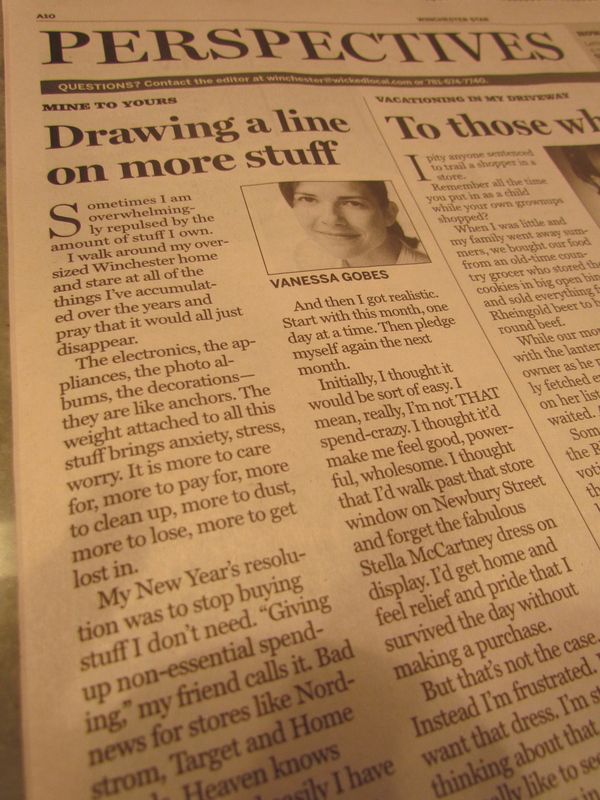 She shares her shortcomings and triumphs, reminding readers that just because she’s a practicing Buddhist, doesn’t mean she’s always Zen. But when she draws from her practice during tough times, she finds clarity, peace and patience with herself as a mother. Okay, okay, last one. 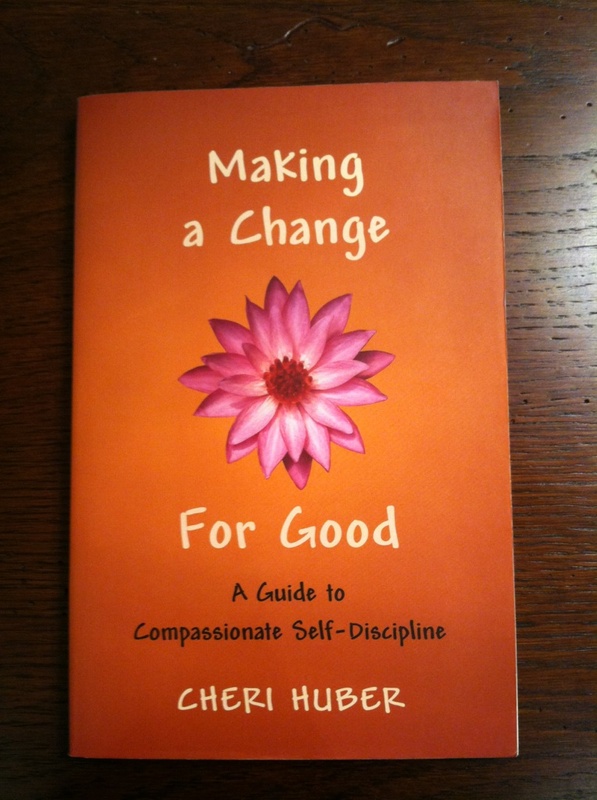 Making a Change for Good by Zen teacher Cheri Huber is a self-help workbook. My friend recommended this book to me because I wanted to break my lifelong habit of being a quitter. In Making a Change for Good, Cheri teaches readers that through compassionate self-discipline, we can tap into the best part of ourselves. And our nagging little voices that tell us we’re not good enough or that we don’t deserve success can be gently diverted away from the main stage of our minds. The end of the book lays out 30 days of assignments from meditation to journaling that help readers beat bad habits and create lasting positive change. I liked this book because I could DO something with it. It was a great tool for me and I highly recommend it to anyone else who’d like to implement a little Buddhism to help make a change for good.